Ooma Office, the small business solution for those who wish to dump traditional land lines, is now ready to go on sale at Staples stores across the U.S. The Ooma Office was one of our favorite new products at CES this year, earning it one of our Best of Show awards in the process. While it may not sound that exciting to the general consumer, this little box could mark a major change in how small businesses handle their phone calls. With a virtual receptionist, extension numbers, a conference bridge, hold music and more, this $250 package – plus $19.99 per month, per line – could level the playing field between small and large companies when it comes to putting a professional foot forward at one of the most common contact points for business to be conducted. While this isn't something you'll find people lining up for outside of Staples to rush in and buy at opening time like some of the hottest smartphones, it is definitely worth looking into if you ow a small business or know anyone who does. 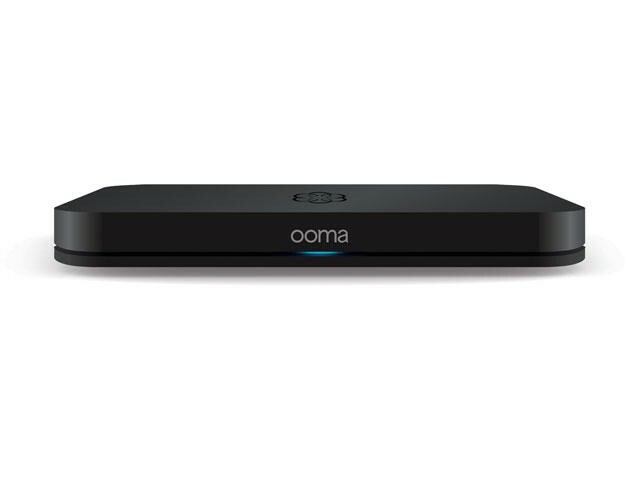 PALO ALTO, Calif. — May 14, 2013 — Ooma, Inc., the leader in smart home and business communication systems, today announced that its small business phone system, Ooma Office, is available for purchase at Staples stores nationwide and Ooma.com. A longtime leader and innovator in home phone service, Ooma Office is the first product developed by Ooma to address the needs of small businesses. Ooma Office delivers the advanced features and service quality that come with a big business phone service at a price point that is far more affordable than other solutions. "We believe that small businesses shouldn't have to pay hundreds of dollars every month for a business-class phone system," said Jim Gustke, Vice President of Marketing for Ooma. "Ooma Office helps small businesses present a professional image without paying an expensive monthly phone bill. Now businesses can use their hard earned dollars to attract more customers rather than pay the phone company." "Ooma Office is the perfect phone system for my business. I was amazed how easy it was to set up in just a few minutes and I've been impressed with the virtual receptionist text-to-speech feature in particular, which gives me the ability to change my greeting on the fly so I can make the best impression with my customers," said Jeff Batchelor, President and CEO, XEOS International, Inc. "I chose Ooma because of its reputation for call clarity and reliability, and Ooma Office has far exceeded my expectations."